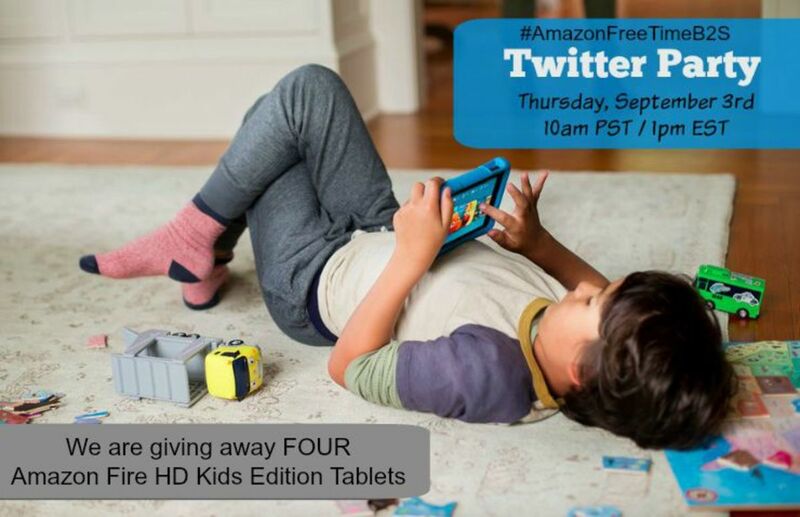 Join us this Thursday for a Back to School Twitter Party to celebrate the new Amazon Fire HD Kids Edition. This isn’t a toy – it’s a full-fledged tablet featuring a quad-core processor, a vivid HD display, front- and rear-facing cameras and Dolby Digital audio.The new Fire HD Kids Edition is the perfect, back-to-school tablet with built-in features designed to help make learning fun as students transition from summer to school. Amazon FreeTime is a free app available exclusively for Amazon devices, including Fire HD Kids Edition, which helps parents manage how their kids use their devices. With Learn First, parents can block access to entertainment content until their child has met specified educational goals. For example, after an hour of reading has been completed each day. Parents can control the specific amount of time kids can spend with each activity, such as unlimited time reading, but only 30 minutes of watching videos or using apps. Using the Bedtime feature, parents control when FreeTime shuts the device down for the day – with settings specific to weekdays and weekends. While in FreeTime, kids do not have access to social media, don’t see advertisements, and can’t make in-app purchases. Two-year worry-free guarantee so if anything happens, simply return the device and Amazon will replace it for free – no questions asked. Comes with a durable, lightweight kid-proof case available in green, blue or pink to protect against drops and bumps. 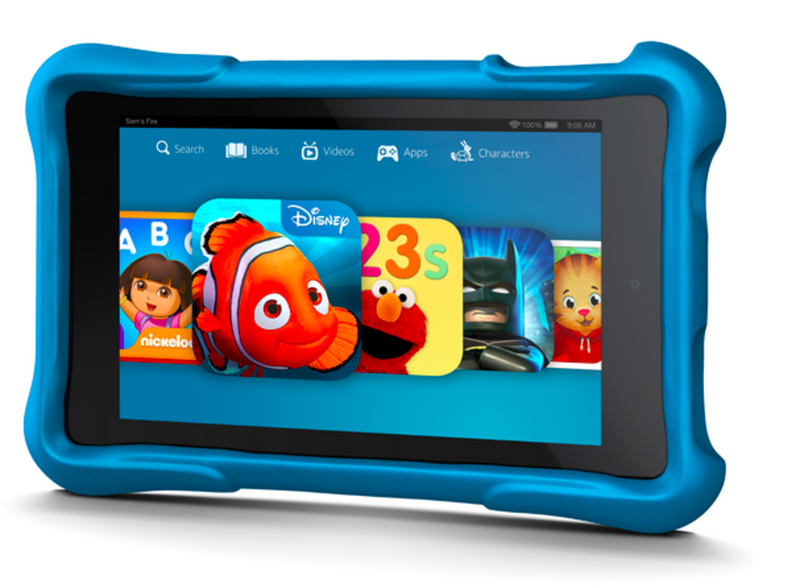 Four (4) Fire HD 6" Kids Edition tablets, Wi-Fi, 8 GB ($149 each).